It's time for the annual trip to the CHAP fair - a huge homeschool fair and conference up in Harrisburg. I love it. I'm not sure how many times I've been, but I look forward to it every spring. The speakers are always fantastic, and the shopping - oh, my, the shopping! Every year, I also talk to at least one homeschooling friend who is terrified to go to the fair. Maybe terrified isn't the right word, but it comes close. And it definitely can be overwhelming. So here are my tips for negotiating the homeschool fair, wherever yours may be. Make a list. If you know what you're there to buy, and you have a price range, you'll know when to buy and when to walk on by. You're also less likely to buy lots of stuff you don't need. Don't be rude. Don't stand in front of a vendor and look for cheaper prices online with your cell phone. If you absolutely must price compare, do it somewhere else. Make a budget. Yes, you're only there to buy next year's curriculum. But when you pass that used book booth or you see the perfect birthday/Christmas/Mother's Day gift, you need to know ahead of time what you can afford. If your children are coming, give them a budget also. I guarantee there will be lots of toys, both educational and otherwise, and knowing ahead of time what they can spend will make it easier on everyone. Schedule your seminars. Look at the list of speakers online ahead of time and know which seminars you absolutely don't want to miss. Last year, I thought I would buy the CDs of the ones I missed, but I didn't. I'd much rather hear the speakers in person. Plan on eating. At CHAP, they don't allow food inside the complex, so I either have to have cash for the concessions or pack food in the car and go outside for lunch. This year it's supposed to be raining, so lunch in the car might not be the best choice. If you're shopping, bring a suitcase. Or something on wheels. Trust me, it gets difficult carrying your purchases around in a bag. And if you don't have a longsuffering husband like mine who's willing to drag everything out to the car periodically, you will regret not having something rollable. Relax. If you get tired, or just overwhelmed, take a little while to sit down. If you feel like leaving, go ahead and leave. No one's judging. I'll see you all at the fair! I recently told a blogging friend that I want my blog to be a reflection of my mind. If you read it, it would be like reading my mind. But then I realized something: my mind is a very scary place. It's full of dark corners, a few cobwebs, things waiting to jump out and surprise me. I freak myself out on a regular basis. And I'm not talking about watching too many horror movies. I'm talking about something much scarier. She goes by different names. Pride. Fear. Defiance. But the worst part is, I never recognize her. She shows up very predictably, but I always let her in and entertain her for a while. Sometimes I even let her talk to my husband, though she usually doesn't want to because he recognizes her right away and sends her scurrying back to a corner. Most of the time, I hold her hand and lead her around my innermost thoughts and let her whisper in my ear. And I know she'd love to guest write a blog post. The only way to get rid of her is to invite her to speak to my Best Friend. He knows all of her tricks, but more importantly, He can banish her. He did it a long time ago in the wilderness. He finished it on the cross. And when I hear Him start to say, "It is written..." I know she's going to turn tail and run. And then I can blog. Twenty years ago, I made one of the best decisions I've ever made. Happy Anniversary, my love! This coming week has some important dates. Our homeschool portfolios are due on June 30, but since we are going to be at Good News Camp the whole last week of June, I need to get them turned in by Friday. This is always a big stress-out time for me because I don't want to forget anything. Also, inevitably, Caleb has not finished all of the required writing for the year. So we need to finish a paper he's been working on and write up a lab report as well. Thankfully, I'm already finished with Isaac and Joshua's, and Noah is still too young to need one. On Wednesday, hubby and I celebrate our 20th wedding anniversary. How it got to be 20 years already, I'll never be able to tell you. What I can tell you is that every single day, I love this man I married more and more. He is planning to take me up to Hershey later today for some serious roller coaster time, without the boys. Yep, he knows what I like! Did anyone see the guy walking across Niagara Falls last night? My stomach still hurts from all the anxiety. I am so scared of heights, I can't even watch other people do stuff like that without my palms sweating. Eek! I don't think it was actually the flu. Although I had the vaccine this year, and I guess it could have been a mild case. 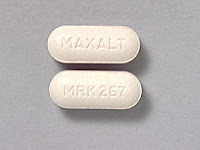 I woke up in the middle of the night Sunday night with horrible nausea and stomach cramps. And then a headache and body aches. And I stayed in bed all day yesterday. All I had to eat was graham crackers and a soft pretzel. That's how sick I was. Today? Just fine. I woke up at 8:30 (granted, later than I usually would) and I felt fine. I spent the day visiting with my parents, who have finally arrived from Florida in their RV. I have eaten the normal things I would eat on any given day and it has caused no further distress. But I did lose a whole day. I also got to see what my family would eat if I were not around to cook for them. Shudder. At the beginning of this school year, I wasn't at all sure my then-9-year-old would be reading even up to second grade level, let alone 4th, where he should be. He has always struggled with remembering sounds and combinations, so we went over the same things many times. But we found the perfect program for his needs: Funnix. You can find it here. Isaac's biggest problem with other phonics programs was that they moved too quickly. I won't name them (though if you want to know, email me and I'll share), but we tried several other computer-based phonics programs and they left him in the dust. This meant either tears of frustration, or no long-term retention. When we started Funnix, it moved at such a slow pace that he was able to follow it, keep up with it, and ACTUALLY LEARN! 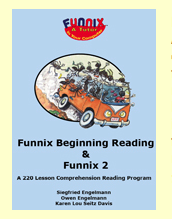 He is now five lessons away from finishing Funnix 2 and he is reading fluently. When we test, I fully expect him to be at grade level. It's amazing the progress he's made this year, and so exciting! My favorite part is sitting in his Wednesday night class at church and listening to him read Bible verses out loud from the King James with little to no hesitation. I am thrilled. We had a fun weekend. We went up to Hershey yesterday after church and enjoyed our season passes for the first time. I rode the new Skyrush coaster and screamed my head off. It was terrifying. In a good way. Now we're down to what I anticipate being the last week of school for the younger boys, and hopefully the oldest as well. We'll see. If you notice things changing on a seemingly random basis, it's just me trying out some different templates to see what I like. I don't like the dynamic templates Blogger has because my sidebar disappears, along with most of my gadgets. But I don't particularly like any of the other standard templates either. I found this one on another site, but I'm going to keep looking - I can't change the background to anything but white. TOO MUCH WHITE! If anyone knows of any good blogskin sites out there, let me know. I made a decision recently. Migraines aren't going to ruin my life. I know, it seems like I should have made this decision a long time ago. I've been getting them since college. And thanks to medication and learning what my body wants when I start to feel a migraine coming on, they are not nearly as bad as they used to be. But they still knock me out. If I get a migraine, it's a guaranteed three days until I feel normal again. Having said that, most of those three days are spent in a sort of "functional" migraine, as I call it: I can do stuff (clean, cook, teach the boys) but if I let myself get agitated or stressed, it gets worse. Of course, NONE of my daily activities agitate or stress me, right? But what I realized in the last few months is that I use my condition as an excuse. I can't volunteer for that - what if I get a migraine? I can't have people over for coffee - what if I get a migraine? And God does not want me to live my life on what ifs. I have prayed, asking God to take these headaches away. I prayed this with complete faith that it would happen. It hasn't. But what has happened may be better. I have learned to do what I can do while I feel well enough to do it. I waste less time doing silly things with no eternal value. I'm not saying I waste NO time, just less. I have learned to take time to slow down when I need to. I am trying to reach out to other people. And I am learning not to feel sorry for myself. Just reading about what Paul went through in the Bible is enough to make me feel like a petty whiner for complaining about a migraine headache, even when it's really bad and has me vomiting and in so much pain I can't sleep. This is my thorn in the flesh, and really, it's just a tiny little one. Recently I was given a free month of Time4Learning.com in exchange for a review. I was really excited about it, because I'd seen so many positive comments about it in the past. The first thing I discovered was that time slows down in the Time4Learning universe. And not in a good way. After signing my two youngest up on the website, I received a message saying it would be (trying to remember here) either 24 or 48 hours until the account was active. A week later it still said the same thing. Just when I was ready to call customer support, the account finally went live. But I was already ten days into my free trial. Now the good news: the boys really liked it. They weren't interested in the math section, so we did quite a few science, social studies, and reading lessons. The lessons were cute, although somewhat repetitive. The quizzes at the end were EXTREMELY repetitive. The animations/stories are what really sold the kids on it. We were all laughing out loud at some of the discussions between the animated characters. There was also a lot of interactive clicking involved in the lessons, which keeps the kids engaged and learning. So overall, I was pretty happy with the website. I would definitely consider adding it to my curriculum for next year. It would be great to let the two younger ones do some of their work online while I work with the older two. I don't know that it's complete enough for a stand-alone choice, but I liked what I saw. Mom of 4 boys, home educator, writer. Sci-fi geek, mystery lover, book and movie collector. Child of God, always striving to be more like Jesus.